The narrator is away. Welcome to our guest blogger, Gregor Steele. A couple of decades ago, having taken up residence in the TES Scotland's comment pages, I felt that the world was ready for a hilarious account of my teacher training year. Maybe it was ready, but maybe what I wrote wasn't as hilarious as I thought it was. Certainly, looking back on it (of course I kept it), there is a lot that I would change. Take the vignette of the first science lesson that I ever taught. This tale of a voice not used to being raised going squeaky at an inopportune moment, of intrusive personal questions from teenage girls asked of a just-out-of-short-trousers pedagogue, of a boy who looked like pre-pubescent Kenneth Williams auditioning for a part in "Carry on being a complete pain in the arse" includes the phrase, "foolishly heeding college advice not to be sarcastic..."
I wouldn't write that now. It's not that I'm never sarcastic. It's more that I've seen pro-sarcasm, and having done so, feel well-warned away from trying even the amateur stuff. I worked beside the World's Most Sarcastic Teacher. 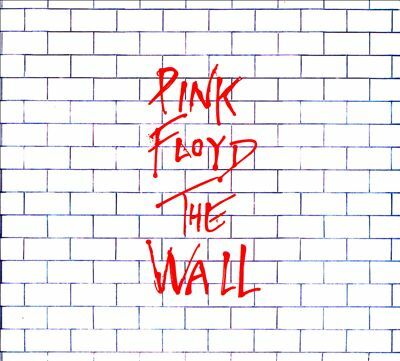 He was the one Pink Floyd wrote about in The Wall. Maybe. "Can you tell me ma marks, sir?" "Because you haven't got marks. You've got a mark. One. Out. Of. Thirty. Well done." He was like this with all the kids. Some of his department members, passionate about their subject, were reduced to tears when they overheard children say that they were avoiding it at S-Grade in case they got the WMST. The Tom and Jerry fantasy kicked in. I wanted to contrive the situation where he'd end up running, just so I could stick a frying pan in his path. I could hear the noise in my head. The only decision was whether I'd prefer if the frying pan ended up head-shaped, or his head ended up frying pan-shaped. It soon transpired that I didn't have to do this. The World's Most Sarcastic Teacher had a knack of landing himself in it, and one of his redeeming features was that he was prepared to share his come-downs with the rest of us. One day, a boy was idling in his Standard Science class, distracted by and distracting his classmates. The WMST had tried to nag him into knuckling down but had failed. Time to turn the sarcasm up to 11. "I'm going to put you somewhere, son, where you can do something that obviously you can only do by yourself." "I'll give you a clue, son. It's a four letter word beginning with W and ending in K."